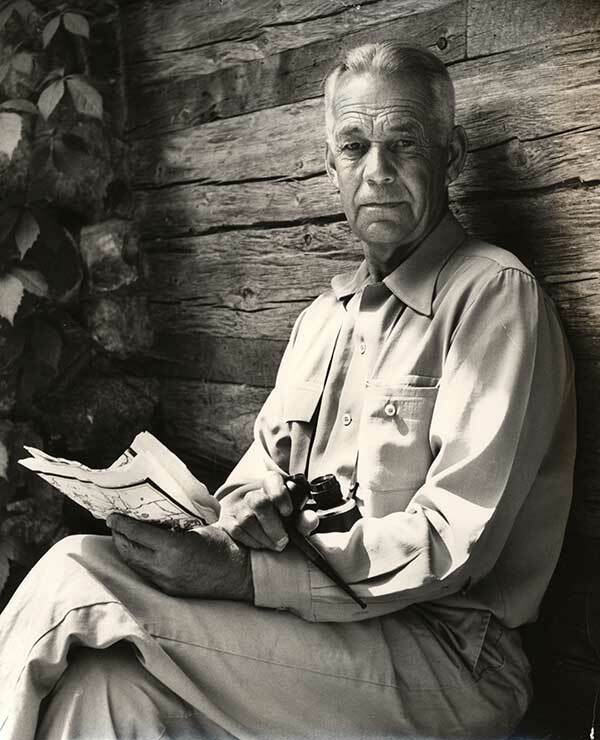 Sigurd Ferdinand Olson (April 4, 1899-January 13, 1982), writer and conservationist, was born in Chicago, Illinois, the son of Lawrence J. Olson, a Swedish Baptist minister, and Ida May Cederholm. He spent most of his childhood in northern Wisconsin, where he formed his life-long attachment to nature and outdoor recreation. Sigurd earned a bachelor of science degree from the University of Wisconsin in 1920. He returned briefly in 1922 for graduate work in geology, and earned a master’s degree in animal ecology from the University of Illinois in 1932. 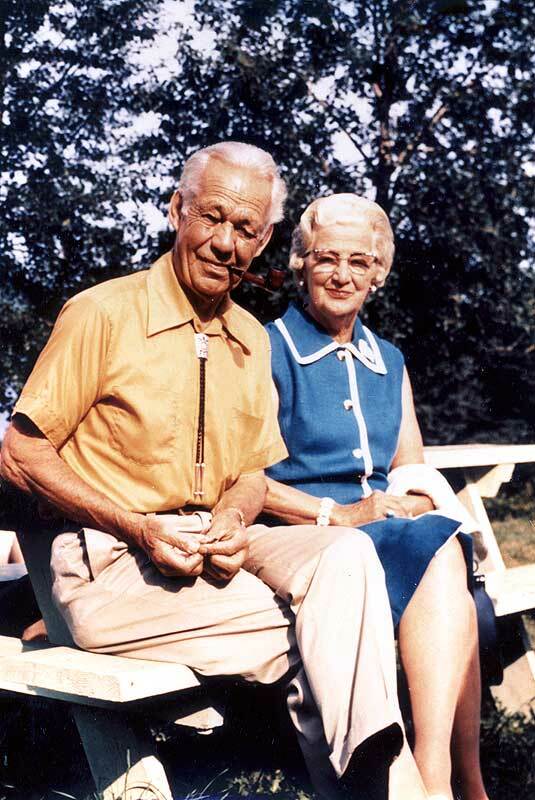 Meanwhile, in 1921 he married Elizabeth Dorothy Uhrenholdt; they had two sons. From 1923 to 1936 Sigurd taught at a high school and then at a junior college in Ely, Minnesota, in the northeastern part of the state. In 1936 he became dean of the Ely Junior College, a position he held until he resigned in 1947 to become a full-time writer and professional conservationist. Ely remained Sigurd’s home for the rest of his life. An iron-mining town on the Vermilion Range, it was located at the edge of several million acres of lake land wilderness in the United States and Canada known as the Quetico-Superior. Sigurd traveled and guided there for many years, and grew convinced that wilderness provided spiritual experiences vital to modern civilization. This conviction formed the basis of both his conservation and writing careers. Sigurd became an active conservationist in the 1920s, fighting to keep roads and then dams out of the Quetico-Superior. In the 1940s he spearheaded a precedent-setting fight to ban airplanes from flying into the area; the conflict propelled him to the front ranks of conservation. 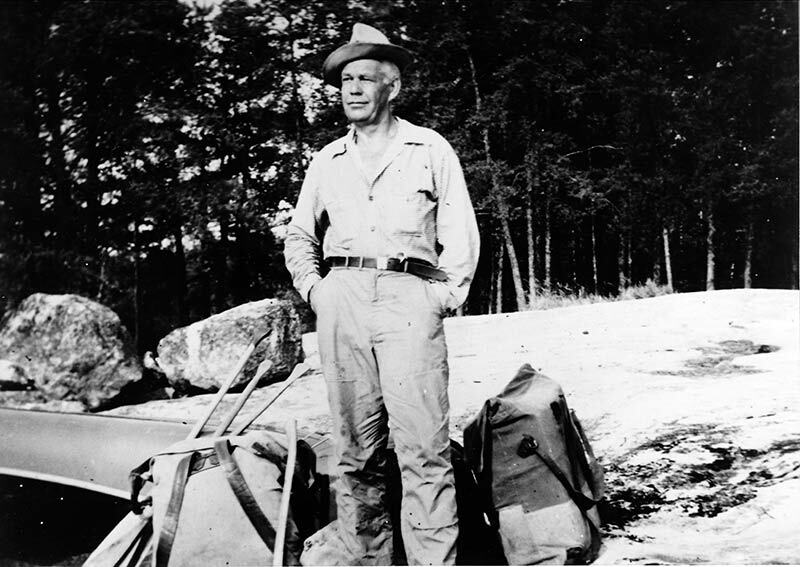 Sigurd served as wilderness ecologist for the Izaak Walton League of America from 1948 until his death, as vice-president and then president of the National Parks Association from 1951 to 1959, as vice-president and then president of the Wilderness Society from 1963 to 1971, and as an advisor to the National Park Service and to the secretary of the interior from 1959 to the early 1970s. He helped draft the Wilderness Act, which became law in 1964 and established the U.S. wilderness preservation system. He played a role in the establishment of Alaska’s Arctic Wildlife Refuge, and helped to identify and recommend other Alaskan lands ultimately preserved in the Alaska National Interest Lands Conservation Act of 1980. Among his many other activities, he played key roles in the establishment of Point Reyes National Seashore in California and Voyageurs National Park in Minnesota. In recognition, four of the five largest U.S. conservation organizations — the Sierra Club, the Wilderness Society, the National Wildlife Federation and the Izaak Walton League — gave Sigurd their highest award. Often pictured with a pipe in his hand and a warm, yet reflective expression on his weathered face, Sigurd Olson became a living icon to many environmentalists, “the personification of the wilderness defender,” according to former Sierra Club President Edgar Wayburn. He was trusting and sentimental, but also a strong leader who could bring together warring factions of environmentalists. “I think he always kept his eye on the star, and he didn’t get down here where we more common folks deal more with personalities,” said former Wilderness Society President Ted Swem. “He made wilderness and life sing,” said George Marshall, a former president of both the Sierra Club and the Wilderness Society. And yet in Sigurd’s hometown of Ely, where many blamed wilderness regulations for the poor local economy, he was jeered and hanged in effigy. And, until he left the junior college in 1947, he often felt trapped in his career and sometimes despaired of his chances to achieve his dream of writing full time. In 1974 Sigurd received the Burroughs Medal, the highest honor in nature writing. His other books include Listening Point (1958), The Lonely Land (1961), Runes of the North (1963), Open Horizons (1969), The Hidden Forest (1969), Wilderness Days (1972) Reflections From the North Country (1976), and Of Time and Place (1982). 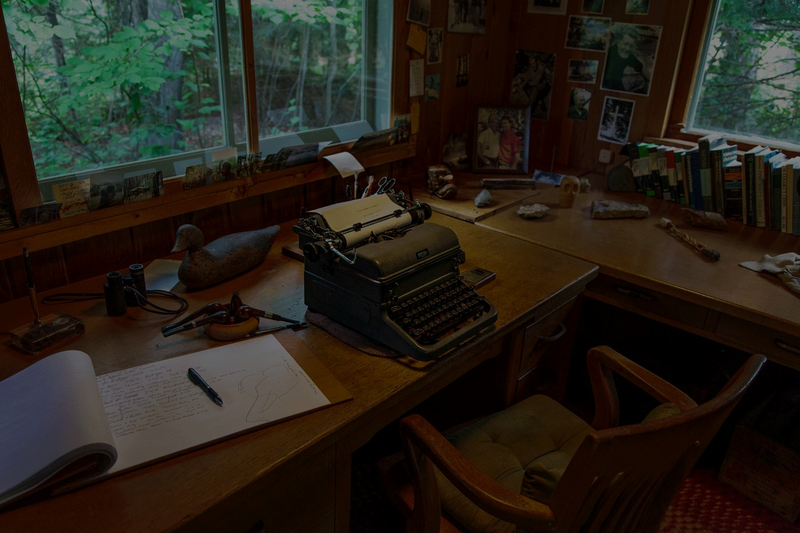 Sigurd Olson believed that the psychic, as well as physical, needs of humanity were rooted in the Pleistocene environment that dominated the evolutionary history of our species. This, combined with his single-minded focus on spiritual values, distinguished him from other leading philosophers of the wilderness preservation movement. 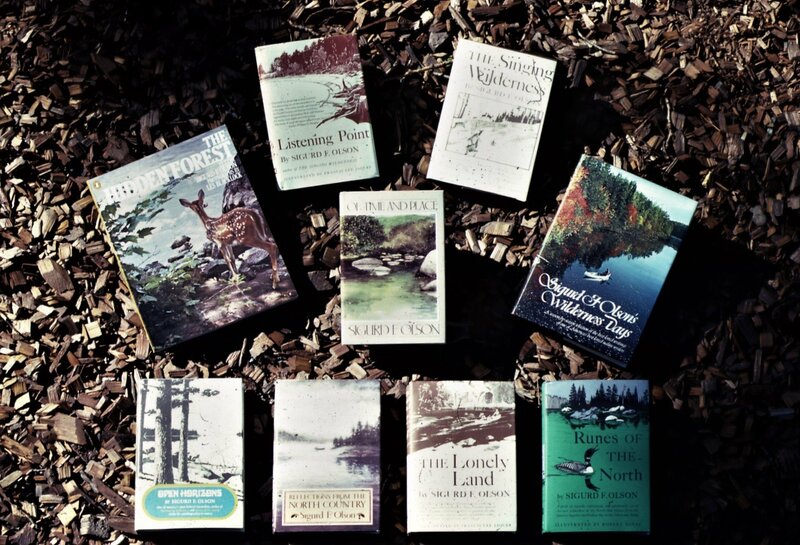 This Sigurd Olson profile was written by David Backes. The Listening Point Foundation works to preserve Listening Point and promote the legacy of Sigurd F. Olson in the world today.